Nicolas Léonard Sadi Carnot (French: [kaʁno]; 1 June 1796 – 24 August 1832) was a French military engineer and physicist, often described as the "father of thermodynamics". In his only publication, the 1824 monograph Reflections on the Motive Power of Fire, Carnot gave the first successful theory of the maximum efficiency of heat engines. Carnot's work attracted little attention during his lifetime, but it was later used by Rudolf Clausius and Lord Kelvin to formalize the second law of thermodynamics and define the concept of entropy. Réflexions sur la puissance motrice du feu et sur les machines propres à développer cette puissance (1824). Title translated as above by R. H. Thurston (1897); also known as Reflections on the Motive Power of Fire and on Machines Fitted to Develop that Power. All quotes are from the 1897 Thurston translation, unless otherwise indicated. Nature, in providing us with combustibles on all sides, has given us the power to produce, at all times and in all places, heat and the impelling power which is the result of it. To develop this power, to appropriate it to our uses, is the object of heat-engines. Iron and heat are... the supporters, the bases, of the mechanic arts. To take away to-day from England her steam-engines would be to take away at the same time her coal and iron. It would be to dry up all her sources of wealth, to ruin all on which her prosperity depends, in short, to annihilate that colossal power. Steam navigation... tends to unite the nations of the earth as inhahitants of one country. ...is not this the same as greatly to shorten distances? There is almost as great a distance between the first apparatus in which the expansive force of steam was displayed and the existing machine, as between the first raft that man ever made and the modern vessel. Savery, Newcomen, Smeaton, the famous Watt, Woolf, Trevithick, and some other English engineers, are the veritable creators of the steam-engine. Notwithstanding the work of all kinds done by steam-engines... their theory is very little understood, and the attempts to improve them are still directed almost by chance. The phenomenon of the production of motion by heat has not been considered from a sufficiently general point of view. We have considered it only in machines... [for which] the phenomenon is... incomplete. It becomes difficult to recognize its principles and study its laws. ...[T]he principle of the production of motion by heat... must be considered independently of any mechanism or... particular agent. It is necessary to establish principles applicable not only to steam-engines but to all imaginable heat-engines, whatever the working substance and whatever the method by which it is operated. We shall have [a complete theory] only when the laws of Physics shall be extended enough, generalized enough, to make known beforehand all the effects of heat acting in a determined manner on any body. The production of motion in steam-engines is always accompanied by... the re-establishing of equilibrium in the caloric; that is, its passage from a body in which the temperature is more or less elevated, to another in which it is lower. What happens... in a steam-engine... ? The caloric developed in the furnace by the effect of the combustion traverses the walls of the boiler, produces steam, and in some way incorporates itself with it. The latter carrying it away, takes it first into the cylinder, where it performs some function, and from thence into the condenser, where it is liquefied by contact with the cold water... [T]he cold water of the condenser takes possession of the caloric... It is heated by the intervention of the steam as if it had been placed directly over the furnace. The steam is here only a means of transporting the caloric. [W]e have just described the re-establishment of equilibrium in the caloric, its passage from a... heated body to a cooler one. [T]he production of heat alone is not sufficient to give birth to the impelling power: it is necessary that there should also be cold; without it, the heat would be useless. [I]f we should find about us only bodies as hot as our furnaces, how can we condense steam? What should we do with it if once produced? Wherever there exists a difference of temperature... it is possible to have also the production of impelling power. ...All substances in nature can be employed for this purpose, all are susceptible of changes of volume, of successive contractions and dilatations, through the alternation of heat and cold. All are capable of overcoming in their changes of volume certain resistances... A solid... A liquid... An aeriform fluid... If it is enclosed in an expansible space, such as a cylinder provided with a piston, it will produce movements of great extent. Vapors of all substances capable of passing into a gaseous condition, as of alcohol, of mercury, of sulphur, etc., may fulfil the same office as vapor of water. ...Most of these... have been proposed, many even have been tried, although... without remarkable success. Heat can evidently be a cause of motion only by virtue of the changes of volume or of form which it produces in bodies. The maximum of motive power resulting from the employment of steam is also the maximum of motive power realizable by any means whatever. [W]hen a body has experienced any changes, and when after a certain number of transformations it returns to precisely its original state, that is, to that state considered in respect to density, to temperature, to mode of aggregation—let us suppose, I say, that this body is found to contain the same quantity of heat that it contained at first, or else that the quantities of heat absorbed or set free in these different transformations are exactly compensated. This fact has never been called in question. It was first admitted without reflection, and verified afterwards in many cases by experiments with the calorimeter. To deny it would be to overthrow the whole theory of heat to which it serves as a basis. For the rest, we may say in passing, the main principles on which the theory of heat rests require the most careful examination. Many experimental facts appear almost inexplicable in the present state of this theory. Carnot's work, Sur la Puissance Motrice du Feu, is the first in which any attempt is made to explain the production of work from heat. It is unfortunately marred by his assumption, that heat is a material substance, though it is only fair to say that he expresses grave doubts as to the truth of this hypothesis. ...He begins his investigation by premising the following correct principle, sadly neglected by many subsequent writers: 'If a body, after having experienced a certain number of transformations, be brought identically to its primitive state as to density, temperature, and molecular constitution, it must contain the same quantity of heat as that which it initially possessed.' Hence he concludes, that when heat produces work, it is in consequence of its being let down from a hot body to a cold one, as from the boiler to the condenser of a steam-engine. His investigation... forms the foundation of the modern theory. Chambers's Encyclopædia (1880) "Thermo-dynamics" p. 751. Martin Goldstein, Inge F. Goldstein, The Refrigerator and the Universe (1993) p. 105. Nicolas-Leonard-Sadi Carnot was, perhaps, the greatest genius, in the department of physical science at least, that this century has produced. ...his one little volume, which has made him immortal, was written when he was but twenty-three or twenty-four. R. H. Thurston, "The Work of Sadi Carnot", Reflections on the Motive Power of Heat (1897) by Sadi Carnot. One could... safely declare that 'Physics... can be defined as that subject which treats of the transformation of energy.' The philosophical version of Herakleitos and Empedokles... a continual cycle of changes and exchanges, had... crystallized into a quantitative physical theory. But this... picture... was... incomplete. For... there was a second, equally general and fundamental element in Nature—a directional one. This had first been formulated in the 1820s by the Mozart of modern physics, Sadi Carnot. ...Carnot started with the question: What proportion of the heat in any system is 'available' as a means of producing mechanical energy? ...Carnot demonstrated ...a one-hundred-per-cent-efficient engine could exploit only a fraction of the heat supplied to it... A 'super-efficient' machine which could exploit all the heat supplied, would be (as Carnot's mathematics proved) a perpetual motion machine... one could get out of it more energy than was supplied... In an isolated system... physical changes could at most be perfectly reversible; [but] in normal cases they would result in the progressive... 'degradation' of mechanical energy by the production of unavailable heat. To characterize this... Clausius coined the word 'entropy'... [T]he directional principle of Carnot and Clausias (which gave precise expression to Newton's insight that 'motion is more easily lost than got, and is continually upon the decrease') became the Second Law of Thermodynamics. Carnot considered that the steam engine was analogous to another prime mover, the water wheel. The analogy, and the caloric theory upon which it was based, led Carnot to the incorrect conclusion that no heat was lost, or converted into mechanical energy during the operation of the steam engine. He thought that the same quantity of heat was given out by the boiler at the higher temperature as was received by the condenser at the lower temperature. However, the analogy led him also to the fruitful conception that the amount of energy produced... was solely dependent, in principle, upon the temperature difference between the boiler and the condenser and the amount of heat which passed from the one to the other. Thus it appeared that all heat engines in general, would have the same efficiency if they worked within the same temperature levels. He substantiated this... Carnot's principle, by pointing out that perpetual motion would be possible if it were not true. If two perfect heat engines operating between the same temperature levels did not have the same efficiency, it would be possible for the more efficient... to drive the less efficient engine backwards, pumping heat from the lower to the higher temperature, thus leaving the thermal conditions unchanged and yet generating a continuous excess of energy. Later, in 1830, Carnot appreciated that his comparison of... the waterwheel was not exact, and that some heat was converted into mechanical energy... Thereupon he abandoned the caloric theory and adopted the view that heat was... motions of the particles of bodies, heat and mechanical energy being interconvertible... Carnot died... 1832, and his later views... were not published until 1878. Science and technology are inseparable, in two senses. First, because and understanding of the laws of the universe is always implicit in technology. (Francis Bacon said, "Nature to be commanded must be obeyed.") Second, because, beyond a certain level in technology, the understanding tends to become explicit. Arguably the most profound scientific truth is the second law of thermodynamics, which notes the inexorability of universal chaos and thus... defines the current against which organic evolution and cultural evolution both swim. The earliest statement of the second law came in the nineteenth century from the Frenchman Sadi Carnot, who described himself as a "constructor of steam engines," the vocation that indeed had led him to see the gist of the second law. Robert Wright, Nonzero: The Logic of Human Destiny (2000) p. 159.
by William Thomson, ...with Numerical Results deduced from Regnault's Experiments on Steam, Proceedings of the Royal Society of Edinburgh (1851) Vol. 2, pp. 198-204. "In our demonstration, we tacitly assume that after a body has experienced a certain number of transformations, if it be brought identically to its primitive physical state as to density, temperature, and molecular constitution, it must contain the same quantity of heat as that which it initially possessed; or, in other words, we suppose that the quantities of heat lost by the body under one set of operations, are precisely compensated by those which are absorbed in the others. This fact has never been doubted; it has at first been admitted without reflection, and afterwards verified in many cases by calorimetrical experiments. To deny it would be to overturn the whole theory of heat, of which it is a fundamental principle. It must be admitted, however, that the chief foundations on which the theory of heat rests would require a most attentive examination. Several experimental facts appear nearly inexplicable in the actual state of this theory." In the present state of science... no operation is known by which heat can be absorbed into a body, without either elevating its temperature or becoming latent, and producing some alteration in its physical condition; and the fundamental axiom adopted by Carnot may be considered as still the most probable basis for an investigation of the motive power of heat; although this, and with it every other branch of the theory of heat, may ultimately require to be reconstructed on another foundation, when our experimental data are more complete. On this understanding the author of the present paper refers to Carnot's fundamental principle, as if its truth were thoroughly established. The thermal agency by which mechanical effect may be obtained, is the transference of heat from one body to another at a lower temperature. A perfect thermo-dynamic engine is such, that, whatever amount of mechanical effect it can derive from a given thermal agency, if an equal amount be spent in working it backwards, an equal reverse thermal effect will be produced. Any two perfect engines, however different in their constructions, or in the physical media employed, must derive the same equivalent of mechanical effect from a given thermal agency. Carnot describes a steam-engine and an air-engine, each of which satisfies the criterion laid down above (the construction being however in each case, practically impossible); and he shews how, with certain physical data, with reference to steam in one case, and with reference to air or any gas in the other, the equivalent of mechanical effect, derivable from a given thermal agency, may be calculated. Peter Guthrie Tait, Ch. 1 Historical Sketch of the Dynamical Theory of Heat, source. [W]e must remark the peculiar merit of Carnot's reasoning, which consists in the idea of bringing the body back to its initial state, as to temperature, density, and molecular condition, after a cycle of operations, before making any assertion as to the amount of heat which it contains. [F]rom Carnot's point of view, it is evident that the motive power of heat depends upon its being transferred from one body to another through the medium by whose change of volume or form the external mechanical effect is produced, as this medium is supposed to remain at the end of the operation in precisely the same state as at the commencement. He gives as analogous the instance of work derived from water falling from a higher to a lower level. Carnot's reasoning... to show that in the ascent of the piston in the cylinder, more work is done against external forces than is required to be done by them to produce the descent and restore the piston to its first position. And in order that Carnot's axiom may be applied with strictness, and yet with simplicity, it is better to consider a hypothetical, than the actual engine. It is but bare justice... to acknowledge that Carnot himself was by no means satisfied with the caloric hypothesis and that he insinuates... more than a mere suspicion of its correctness. If we carefully examine the... cycle of operations we easily see that they are reversible, i.e., that the transference of the given amount of caloric back again... by performing the same operations in the opposite order, requires that we expend on the piston, on the whole, as much work as was gained during the direct operations. This most important idea is due to Carnot, and from it he deduces his test of a perfect engine, or one which yields from the transference of a given quantity of caloric from one body to another (each being at a given temperature) the greatest possible amount of work. And the test is simply that the cycle of operations must be reversible. Carnot proved... that the ratio of the work done by a perfect (i.e., a reversible) engine to the heat taken from the source is a function of the temperatures of the source and condenser only. When these temperatures are nearly equal, this function is... called Carnot's Function. W. Thomson, so early as 1848, seized upon this remarkable proposition, and made it the basis of the earliest suggestion of an absolute Thermometric Scale; absolute in the sense of being based upon strict thermodynamic principles, and entirely independent of the properties of any particular substance. Clapeyron, in 1834, recalled attention to Carnot's reasoning, and usefully applied the principle of Watt's diagram of energy to the geometrical exhibition of the different quantities involved in the cycle of operations by which work is derived from heat by the temporary changes it produces in the volume or molecular state of bodies. He also first gave a representation of Carnot's processes in an analytical form. But for nearly twenty years after the appearance of Carnot's treatise little appears to have been done with reference to the theory of heat. Preface, by William Francis Magie, editor & translator of these Memoirs of Carnot, Clausius and Thomson; source. After the invention of the steam-engine in its present form by James Watt, the attention of engineers and of scientific men was directed to the problem of its further improvement. 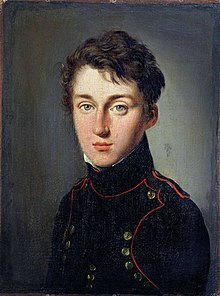 With this end in view, the young Sadi Carnot, in 1824, published the Réflexions sur la Puissance Motrice du Feu... Carnot examined the relations between heat and the work done by heat used in an ideal engine, and by reducing the problem to its simplest form... establish[ed] the conditions upon which the economical working of all heat-engines depends. ...[T]hough the proof was invalid, the proposition remained true, and carried with it the truth of such of Carnot’s deductions as were based solely upon it. Carnot’s memoir remained for a long time unappreciated, and it was not until use was made of it by William Thomson (now Lord Kelvin), in 1848, to establish an absolute scale of temperature, that the merits of the method proposed in it were recognized. [Thomson] found that Carnot’s proposition could no longer be proved by denying the possibility of “the perpetual motion,” and was led to lay down a second fundamental principle to serve in the demonstration. This principle [published in Thomson's memoir of March, 1851] is now called the Second Law of Thermodynamics. In ... Clausias... lays down a principle for use in the demonstration of Carnot’s proposition, which, while not the same in form as Thomson’s, is the same in content, and ranks as another statement of the Second Law of Thermodynamics. Clausius followed up this paper by others, and subsequently published a book in which the subject of Thermodynamics was given a systematic treatment, and in which he introduced and developed the important function called by him the entropy. The science of Thermodynamics, founded by the labors of these three illustrious men, has led to the most important developments in all departments of physical science. It has pointed out relations among the properties of bodies which could scarcely have been anticipated in any other way; it has laid the foundation for the Science of Chemical Physics; and, taken in connection with the kinetic theory of gases, as developed by Maxwell and Boltzmann, it has furnished a general view of the operations of the universe which is far in advance of any that could have been reached by purely dynamical reasoning. This page was last edited on 26 December 2017, at 21:14.